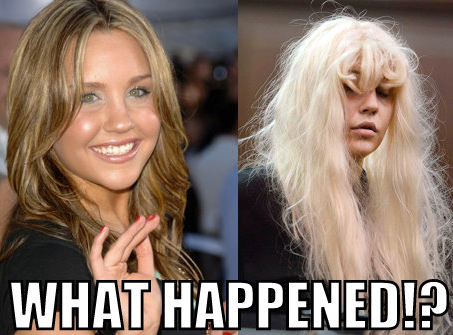 ← Does Amanda Bynes’s mother regret telling everyone that her daughter does not have a mental illness? When I read an article by ABC News that Amanda would be required to stay at the psychiatric hospital for another two weeks, I was relieved and am really hoping that good things can come from this. I wrote a blog yesterday that talked about how I was disappointed in her mother that she after trying to get help for her daughter, denied that she had a mental illness after Amanda was discharged. Being admitted is good for Amanda, it is helpful to others who know nothing about mental illness, and is important for those who have a mental illness to hear that even celebrities struggle with mental illness. Although Lynn, Amanda’s mother, said that the marijuana made her do all the bizarre things back in May, I am not convinced that this is true and explained that in my other blog. As I discussed in my other blog, so many good things can happen from this all. Most importantly, Amanda will get the help she desperately needs. In addition, others will see her struggles and hopefully learn things from it all. However, why I think good can happen from this, other than her having a chance to get treated, is that by having these experiences, she can share her story and help others. Yes, she had a successful childhood career. Yes, she could turn her life around and act again or work in the fashion industry (what she was going to school for). What I hope for is that she becomes another person who uses their fame and misfortune of having a mental illness to join the other celebrities who have been coming forward and using their experiences to raise awareness, educate others, and do their part in erasing the stigma. For a complete list of Famous People with Mental Illnesses or Famous People with Bipolar Disorder, please check out my Pinterest boards. You will be amazed at how many celebrities have a mental illness. This goes to show that mental illness can affect anyone and that just because you have a mental illness does not mean that you won’t be able to make a difference or accomplish great things. Although so many celebrities have come forward, I especially am impressed with Demi Lovato, Glenn Close‘s family, Patrick Kennedy, and Brandon Marshall. Amanda could deny that she has a mental illness or she could show the world that there is nothing to be ashamed of. She could contribute to the stigma or she could become part of the solution when it comes to mental illnesses. She could use her mental illness as a platform and I guarantee that more people will respect her especially in the mental health community. I believe that would help her career gain momentum. She would be known as an actress with a mental illness rather than a “crazy” former actress who denies she has a problem and does not care about other people who have bipolar disorder, schizophrenia, OCD, ADHD, autism/aspergers, PTSD, eating disorders, borderline personality disorder, drug addictions, etc. What do you think she will decide to do? Do you feel strongly enough about letting her know what you believe she should do? If so, contact her. One way would be to tweet her. Support her and encourage her and let her know why you think she should do the right thing. I hope to be writing a blog in the near future about how much I admire her and add her to the list of people who are making a difference when it comes to mental health advocacy. In conclusion, I truly believe that no matter what happens, that her being in the psychiatric hospital for two more weeks is a good thing and a lot of good can come from it- I hope. 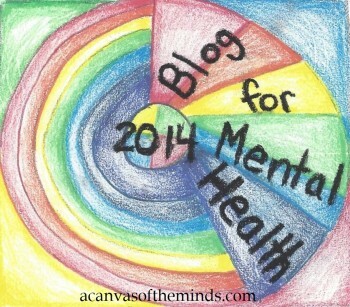 This entry was posted in Uncategorized and tagged adhd, admitted for two more weeks, amanda bynes, autism/aspergers, bipolar disorder, borderline personality disorder, Brandon Marshall, BringChange2Mind, bynes, Demi Lovato, drug addictions, eating disorders, glenn close, involuntary commitment, mental health, mental health on pinterest, OCD, Patrick Kennedy, psychiatric hospital, PTSD, schizophrenia. Bookmark the permalink. Dear Bipolar bandit. Whilst I agree with many points raised in your articulate piece, I do have some reservations which I would like to share with the utmost respect. It is clear that Amanda is struggling and needs all the support to get through this difficult time in her life. However, I got the sense that there were quite a few things you felt deeply were “the right things she SHOULD be doing” like using her illness to erase stigma or educating the general public. Whilst this approach may suit some celebrities and sufferers it may or may not be appropriate for others. I believe that is a personal choice for each one of us. I suspect there are quite a few individuals dealing with mental illnesses while at the same time leading meaningful and productive lives without having to become an advocate for mental health. I myself wish that people would become more educated and compassionate towards individuals dealing with these life altering conditions. I wish there were more resources in the community to help maintain a sense of meaning and balance in my life. I wish there were more opportunities in the workplace to help transition me back into the workplace for the long haul. But then again those are my wishes and they shall continue to be my wishes. Some sufferers may have similar wishes as mine and some different. In the end we all have different paths even if they lead to the same destination i.e. stability and health.